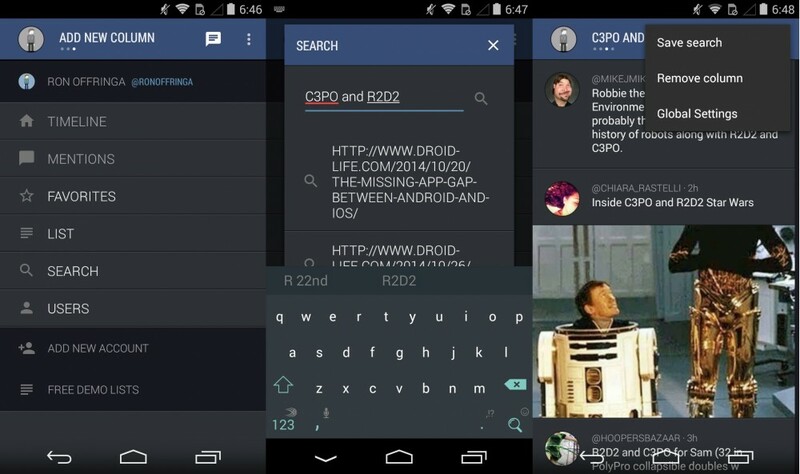 Falcon Pro 1 gave Android users a widget that was essentially an entire Twitter client. Joaquim Vergès, the app’s developer, turned Falcon Pro into a full-fledged Twitter app in late 2012. By February of 2013 the app had reached its 100,000 token limit. Vergès opted to reset the tokens for all users in an attempt to allow new users to use the app, but the token limit was quickly reached again in June, prompting Vergès to release the app for free in July with a secret method to bypass the token limit. The app stopped receiving updates in July, prompting users to move on to other Twitter clients. Now, Vergès is back with Falcon Pro 3, a complete rewrite of Falcon Pro with new features and Material design. In Falcon Pro 2’s absence we have seen apps like Fenix, Talon, and Tweetings rise in popularity. They are each good apps, but until recently, I found myself going back to Falcon Pro 2 because it felt so native to Android. I don’t just mean the then modern holo aesthetic either; Falcon Pro 2’s use of the sidebar as a means to navigate between timeline, mentions, DMs, etc. was the perfect solution for using Twitter on a larger screen. Falcon Pro 3 continues that native-feeling tradition in its own way. Unlike Falcon Pro 2, the new app is column based. It actually launches without any columns added, prompting you to select a column to add. Right now columns are limited to timeline, mentions, favorites, lists, search, and users. Direct messages are not available in the app at all currently, but will be coming in a future update. After adding your first column, a swipe from right to left allows you to add another column. The column design works well and feels a lot like TweetDeck for Android. The search column, however, is fairly annoying. Instead of adding a column from which you can initiate searches in Twitter, you are prompted to enter your query when you add the column, which then only shows results for that search. To perform another search you have to add another search column. This behavior feels like Vergès interpreted the column metaphor too rigidly, but hopefully this will be sorted out in a future update. If you are on Lollipop, you will be greeted with beautiful Material design transition animations as you navigate throughout the app. The animations are smooth and add a layer of context as you move through the app. This isn’t just a Material skin – Vergès put in the hard work of designing these animations. The compose button is always located at the top of the app (something users of larger devices will almost certainly dislike). Tapping it allows you to tweet from any account you have in Falcon and add multiple images directly from your camera roll. There is no support for adding your location or Tweetlonger (if you go over the 140 character limit and tap tweet Falcon will report an error trying to post). Sliding from the left edge of your screen reveals the accounts you have signed into Falcon with the followers and following (called Friends) listed as well as the latest interactions on that account (which appears to be limited to mentions, favorites, and retweets). The top left corner of any column normally shows your current account’s avatar, but this is replaced with a numbered badge whenever new interactions are available to view in the left pane. While having those quick glances at interactions and followers is nice, I really would have preferred the Falcon Pro 2 style of navigation in the left pane. In an effort to conserve battery life, Falcon Pro 3 uses an an algorithm based on your usage to adjust refresh times for notifications. In short, if you haven’t been using the app then notifications will come in slower (about a minute after in my experience), whereas if you’re in the middle of a conversation with someone they’ll appear much faster. Version 1.01 added the ability to turn this off and instead have the app check for updates at the interval of your choosing. Falcon Pro 3 is free to download on Google Play, but adding an account to use the app costs $3.99 via in app purchase and $1.99 per additional account. By doing this, Vergès will hopefully be able to stifle piracy, which is vital to ensuring the app won’t reach its token limit as soon as its predecessor did. Vergès was kind enough to give me a sneak peak of the app shortly before release. After ten minutes with the app I emailed him three questions: Where are the settings? Is there a way to zoom in on images? Is there a reason Direct Messages can’t be added as a column? Shortly after the release I also realized that notifications weren’t as fast as other apps, which didn’t have an explanation until he tweeted about it. Needless to say, a lot of users were upset about some of these omissions and more: you cannot delete tweets, you cannot unfavorite tweets, there are no quick actions when long pressing on a tweet, you can’t view another user’s mentions, and there is not a widget. Vergès responded by saying that the quick release without those features allows users to tell him what to prioritize for the product road map. That may be true, but I can’t think of any Twitter power user, which is his clientele, that doesn’t want to be able to delete a tweet, zoom in on an image, control notifications, and direct messages. Now, I’ll give credit where credit is due: Vergès has been swift to release updates, adding settings for refresh rate, controls for notifications, image zoom, and several bug fixes a day after 1.0 was released and Direct Messages should be here soon, but that doesn’t excuse these obvious omissions at launch. 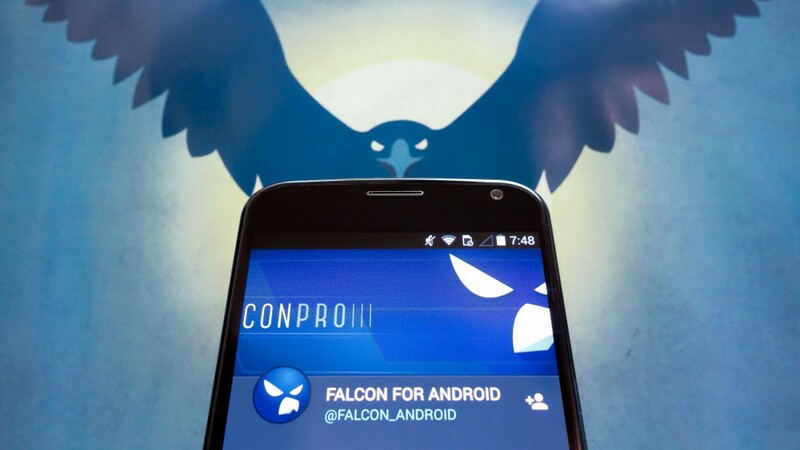 Is Falcon Pro 3 the perfect Twitter app that we’ve all been waiting for? No; at least not yet. The app’s aesthetic design is polished, but some of its execution and features are either rough around the edges or missing entirely. Even if I could overlook some of the rough edges (and many of them I can), Falcon Pro 3 was rushed. It’s hatched and growing, but not quite ready for flight. Falcon Pro 3 might not be where it needs to compete right now, but that doesn’t mean that Falcon couldn’t become the king of Twitter clients on Android again. Project Ara Developers Conference Starts Today, Watch It Live!